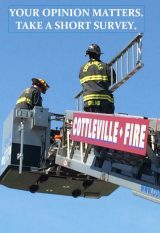 The Cottleville Fire District would like to recognize the following personnel for their years of service. Captain CARROW 11/ 30 / 1983, 35 years of service. Congratulations for your outstanding dedication and commitment to our community and to our Fire District.